I am grateful to Healing on the Streets (HOTS) Bath for linking from their home page to my earlier post God can heal, but not to meet advertising standards, which they describe as “some good Christian wisdom”. That post was a response to the Advertising Standards Authority’s ruling that HOTS Bath must not claim publicly that God heals today, physically and not only spiritually. I was interested to look at some of the other material currently linked to from the same HOTS Bath home page, in a section also responding to the ASA ruling. In particular, they link to a proper scientific paper providing evidence that God heals today, physically, in response to Christian prayer. The paper is entitled Study of the Therapeutic Effects of Proximal Intercessory Prayer (STEPP) on Auditory and Visual Impairments in Rural Mozambique, by “Brown, Candy Gunther PhD; Mory, Stephen C. MD; Williams, Rebecca MB BChir, DTM&H; McClymond, Michael J. PhD”, and is published in Southern Medical Journal: September 2010 – Volume 103 – Issue 9 – pp 864-869. The research for this paper was done in Mozambique, at mass meetings sponsored by Iris Ministries (founded by Rolland and Heidi Baker) and Global Awakening. The authors tested the hearing or eyesight of people coming forward for healing and tested them again after prayer. They found statistically significant improvements in both hearing and eyesight. There is an extremely small probability that these were merely chance improvements or measurement errors. A suggestion or placebo effect cannot be ruled out, but the improvements are much better than have elsewhere been recorded for suggestion and hypnosis. Heidi Baker with a baby who "was blind with white eyes just minutes before!" I can’t help wondering what results would be obtained if similar measurements were made in industrialized countries at, for example, Todd Bentley or Benny Hinn meetings. These two have also claimed spectacular results in third world countries but would additionally claim comparable results in the USA, and in Benny Hinn’s case other western countries. But, as far as I know, no similar studies have been attempted at their meetings. Nevertheless, the scientifically demonstrated result that God heals today in Mozambique shows that he is able to do so also in a tent in Florida or on the streets of Bath. This also suggests the veracity of reports that he has actually done so, even if the frequency of such occurrences is less than in Africa. seeks to apply the rigorous methods of evidence-based medicine to the study of Christian spiritual healing practices, including the widespread practice of proximal intercessory prayer (PIP). The clear implication of all this is that there is real scientific evidence that healing prayer is effective and a respectable scholarly opinion that it is beneficial. I am sure HOTS Bath are pointing this out in their appeal to the Advertising Standards Authority. Hopefully this will lead them to reconsider their apparent blanket ban on claims that God heals physically today. A lot of people come to this blog searching for information about Benny Hinn’s divorce. They probably find my post reporting on Hinn’s “broken heart” at the ending of his marriage. They may also find this post and this one. But all of these are over a year old. What has been happening with him since then? Well, Benny is still keeping up a busy schedule of ministry, as listed at his official website. It doesn’t seem to include as many international events as it did a few years ago. Indeed his visit to London, announced for 24th and 25th June, looks like his only one of the year outside North America, apart from his Holy Land tour in November. It may simply be that at nearly 60 his age is catching up with him. Meanwhile the Hinns’ divorce has been finalised, as confirmed by Bene Diction. I’ve made mistakes because I wasn’t the perfect husband and the perfect dad because I was always gone traveling the world. That’s probably what broke the whole thing up. This is just as I had surmised in March. Benny Hinn is being sued by Strang Communications, a publishing company that alleges that Hinn violated a morality clause in their contract when he began an “inappropriate relationship” with Without Walls pastor Paula White. while it has remained morally pure at all times, I have enjoyed the company of someone who has also gone through the trauma of a painful and public divorce. Since there is only one witness, that should be the end of the matter, including for the Christian publishers Strang Communications unless of course they have other evidence. You may have heard by now that my wife, Suzanne, whom I love very much and always will, filed for divorce on February 1. Even though Suzanne has been under great stress, the children and I never expected this to happen. Divorce was the last thing on my mind and theirs. It was a total shock when her lawyer called me the morning of February 17 to inform me that she had filed 16 days before. Suzanne never gave the family even a hint that this was on her mind. Even to this moment, the children and I don’t know why she did it. I also want you, my very dear partner, to know that there was absolutely no immorality involved in my life or in Suzanne’s, ever. We both kept our lives clean and were totally committed to each other for 30 years of marriage. My wife has no biblical grounds for what she has done. We both have kept our covenant with God and stayed pure before Him, and I am praying with all my heart that our precious Lord Jesus will heal my family and protect His work for His glory. I have no reason to doubt the truth of this. But Kevin is surely right that Benny’s ministry schedule, even facilitated by his infamous private jet, has left him inadequate time to spend with his wife. Todd Bentley seems to have had the same issue, as indeed do so many Christian ministers of all kinds. We can only hope that high profile divorces like Benny’s and Todd’s will act as a warning to others to make sure their marriages are on a firm footing. The BBC and the British newspapers have not yet found this worthy of reporting, so I am reliant on the US newspapers, via Google News and also through a link I found from a tweet by Rich Tatum (seen through Facebook) to the story as reported by the LA Times blog. This is of course very sad, and reminiscent of the high profile divorce of Todd Bentley a couple of years ago. In this case there is no suggestion that any other woman, or man, was involved. Very likely the main underlying issue is that the high pressure work of a modern American evangelist is incompatible with a normal family life. you can hardly call the selling of asking of donations in return for miracles a religious activity. Well, in that case I trust that Doug is immediately going to stop asking for donations, by passing round a collection plate or whatever, at any services of the Eucharist. After all, at least according to his “Catholic” doctrine, the central point of the Eucharist is the “miracle” of the bread and wine becoming the body and blood of Christ. Either that or he should stop claiming to be a minister of religion leading a “religious activity”. Does your church pass round a collection bag or in other ways solicit donations at religious gatherings? Hypocrite! Take the plank out of your own eye before complaining about others who do just the same. Maybe this comment is not quite “Gentle Wisdom”, but I hope Doug knows me well enough to take the word “Hypocrite” as friendly banter. However, my point is a serious one. What is the real difference between Doug, a stipendiary (I assume) priest of the Church of England, living on money from worshippers and Benny Hinn doing the same? Is the difference just the large amount of such money received by Benny (short for Benedictus, “blessed”)? Are the complaints fuelled by a hint of jealousy about his private jet? Or is the real issue that Anglo-Catholics like Doug and Ruth do not believe that the blessed Benny’s message and miracle ministry are genuinely Christian? In that case they should say so straight out and not pretend that this is a matter of asking for money. 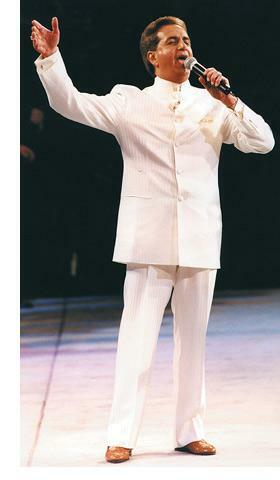 Personally I don’t like Benny Hinn’s style. I also have serious issues with how both he and very often the Church of England seem more interested in taking people’s money than anything else. And although I do believe his ministry is genuinely Christian, although like any preacher’s not perfect, I would defend his right to preach it wherever he wants to. But of course that does not make him immune to border formalities. I would say just the same about another Benedictus clothed in white expected to visit the UK next year. I hope someone remembers to give the Pope the right letter of invitation. So Todd’s and Benny’s teaching is as valuable as that of the “Fathers” of the church? Why, I thought I was praising Todd rather highly in comparing him with Jesus and Paul, but I was only saying that he was trying to follow their example. I would never have dared to compare Todd’s teaching with that of any of the respected theologians of the church. But Jim West seems to value Todd and Benny above such towering figures as Tertullian, Origen and Chrysostom. High praise indeed!